NUFC star injured & now a ‘doubt’ for Crystal Palace clash – but key man set to return? – NUFC blog – Newcastle United blog – NUFC Fixtures, News and Forum. Isaac Hayden has been described as a ‘doubt’ for Saturday’s clash with Crystal Palace at St James’ Park – but Fabian Schar is available once again after a completing a two-match ban. Starting with Hayden, the midfielder was forced off in the second half on his return to The Emirates, with a hip injury seeing Ki Sung-yeung replace him for the final 25 minutes. He’s not been ruled out just yet and may yet play if he manages to come through training, but his absence would be a real blow – something I didn’t think I’d be saying just a few months ago. The 24-year-old has started every Premier League match since the turn of the year and has performed admirably, but it looks like either Jonjo Shelvey or Ki Sung-yeung could be set to come into the side and partner Mo Diame IF he does miss out. Hayden’s loss could be Shelvey’s gain. I’m not convinced Rafa will start the 27-year-old given his lack of involvement since his return from injury, but he seems a superior alternative to Ki given how lacklustre the South Korean has looked following his return from the Asian Cup. As far as Schar is concerned, his return could be key. He’s not only been tough and tenacious from a defensive perspective in recent months, but his ability to step out of defence and create attack from deep have been pivotal in this new system; helping us get on the front foot at St James’ Park. 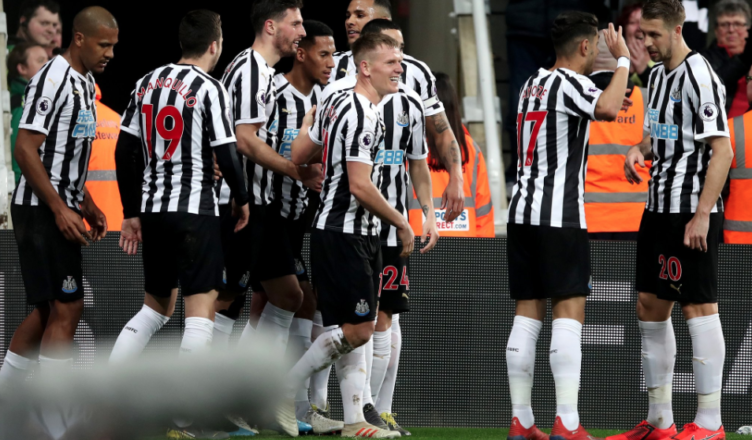 (3-4-3): Dubravka – Schar, Lascelles, Lejeune – Yedlin, Shelvey, Diame, Ritchie – Perez, Rondon, Almiron. What has Dummett done to deserve being left out?